Service Plus Plumbing in Canterbury, CT, is a full-service plumber that offers comprehensive assistance to both residential and commercial clients. With trained professionals serving various communities throughout Windham County and beyond, you can trust that with them, you'll always receive fast, reliable service at a price that won't break your budget. No matter whether you experience a clogged drain, flooded basement, toilet problems, or a leaking pipe, Service Plus Plumbing is well-versed in all kinds of residential plumbing services. Water well owners can call on these experts to resolve issues relating to well pumps, storage tanks, leaking water lines, low water pressure, and well casing. If you experience complications with your septic or sewer line, this plumbing crew can use video pipe inspection to pinpoint any needs for root removal, water jetting, or descaling. If the whole system is shot, they can even provide complete sewer line repair and replacement. 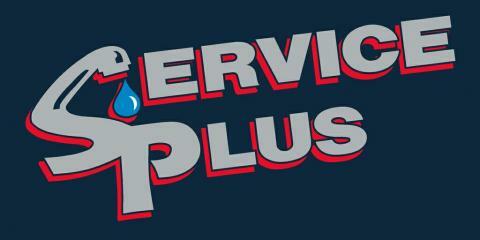 For business owners, Service Plus Plumbing is a trusted resource for all types of commercial plumbing services. Understanding the importance of keeping your business running, they take pride in minimizing impact to your property, made evident through their trenchless and lining services. Numerous companies trust them for routine drain cleaning, sewer line cleaning, and septic system maintenance. Fully licensed and insured, Service Plus Plumbing is committed to providing service that will offer you peace of mind. With more than 25 years of experience in the business, this team delivers customer satisfaction through upfront pricing, timely service, and accurate diagnostics. And as masters of their craft, this team of local plumbers is recognized for getting the job done right the first time—no matter how large or small. Whether you need 24-hour emergency plumbing service in Windham County or simply want to schedule regular septic system maintenance, get the help you need by calling Service Plus Plumbing at (860) 234-9346. Be sure to visit them online to learn more about their services and see examples of their work.